Dell has finally announced the Dell Venue 7 and Venue 8 officially. Both the tablets has almost similar specifications and features, except the Screen size and camera. It long since company has lunched any android tablet. Although the company has also introduced the Venue 8 Pro and Venue 11 Pro with Intel Atom Quad core CPU and Windows 8.1. Both the Venue7 and Venue8 are powered by Intel Atom Dual core processor with 2GB of RAM. Both has 1280×800 pixels resolution display, SIM CARD slot, 1 year limited warranty and runs on Android 4.2 jelly Bean Operating system. The tablets will compete with Nexus 7, Samsung Galaxy Tab 3 and NVIDIA TEGRA Note 4. The Dell Venue 7 comes with 7 inch capacitive touch screen Display with 1280×800 pixels resolution. The tablet draws the strength from 1.6GHz Dual-core Intel Atom Z2560 Clover Trail+ processor, 2GB RAM and runs on Android 4.2. It has VGA front facing camera and 3-megapixel primary camera. It comes with 16GB ROM, Black color and with 1 year warranty. 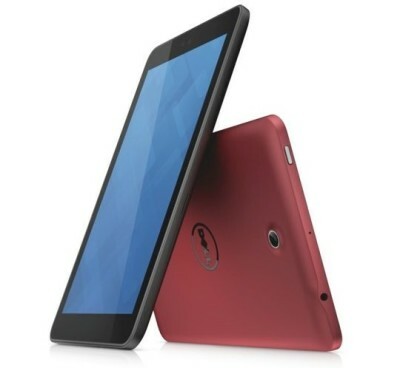 The Venue 8 has 8″ inch IPS display, 2.0GHz dual-core Intel Atom Z2580 Clover Trail+ CPU paired with 2GB of RAM. It features WiFi 802.11 b/g/n 2.4GHz, Bluetooth, GPS and microUSB eith OTG support. It has 2 megapixel front facing camera and 3MP rear camera. It comes with 16GB or 32GB of ROM and Black/Red. 2megapixel font cam and 3-megapixel primary camera. Both the tablets comes with in built SIM card SLOT which makes it much more portable. Both models are expected to be available on 18th October. The models would be available in India by next year . 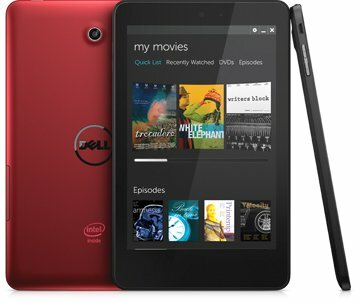 The price of Dell Venue 8 starts from $180 and Venue 7 is priced at $150.